On Wednesday I headed off after work and trained and bussed my way to Dalston for Damon & Naomi’s show at Cafe OTO - their first time back there since they had to cancel a show after Damon had a fall two years before. Chris had arrived early and parked himself at the front of the queue which meant that when the doors opened and we were let in out of the rain we nabbed ourselves prime seats front and centre (well slightly Naomi side of centre). First support was Red River Dialect who had a good psych-folk/country thing going. Damon & Naomi’s co-conspirator for the tour was up next - Thalia Zedek was just her, her guitar and an amp that needed occasionally to be reminded who was boss - and Thalia Zedek was boss! 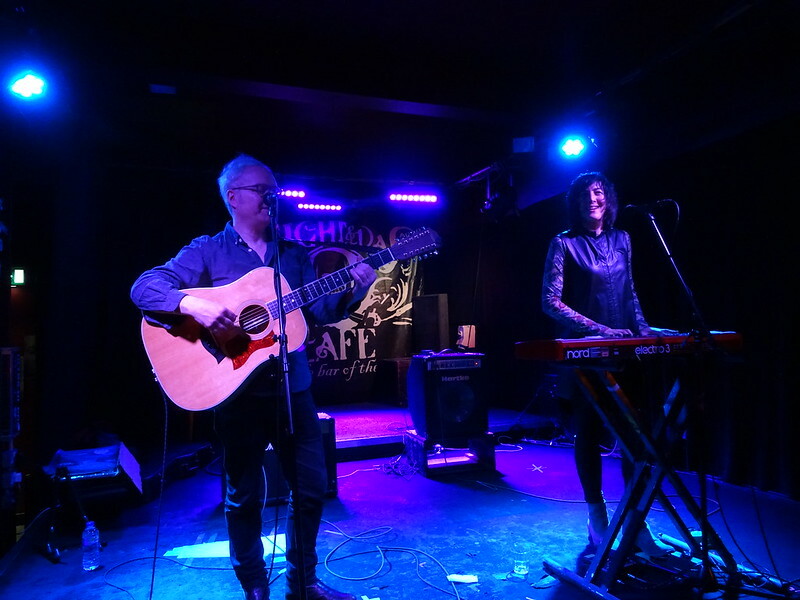 Damon & Naomi played a lovely set spanning a good chunk of their career for there encore they were joined by Thalia Zedek for a cover of Leonard Cohen’s Dance Me to the End of Love and an emotional take on the late Tom Rapp’s Translucent Carriages. Despite efforts from the crowd to lure them back for another encore Damon explained that they didn’t feel they should follow theior tribute to Tom and so spent the rest of the evening chatting with anyone who cared to and signing the beautiful tour poster they had for sale. On Thursday I headed off after work and trained and bussed and biked my way to Shoreditch where Damon would be spending the evening chatting with journalist Laura Snapes about his book The New Analog and anything that came up in relation to that - the talk was gripping, Damon was articulate and funny and Laura helped keep the subject moving along and interesting and threw in some interetsing angles. 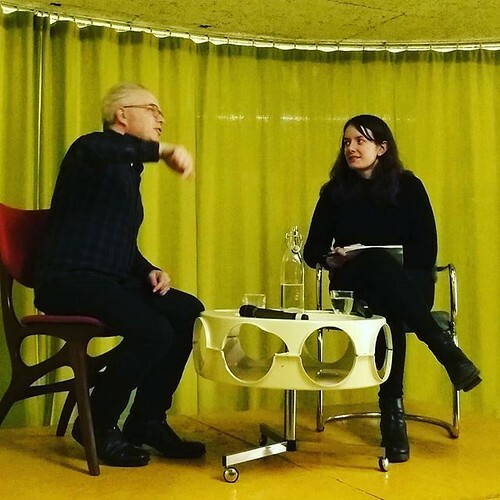 The talk was close to two hours and never really seemed to lose momentum - the subject is so broad and affects us in so many ways it’s hard not to become engrossed. Afterwards Damon hung around and chatted and signed his beautiful book that they had for sale. On Saturday we trained to Manchester for Damon & Naomi’s show on Sunday evening at the lovely and intimate Night and Day Cafe. 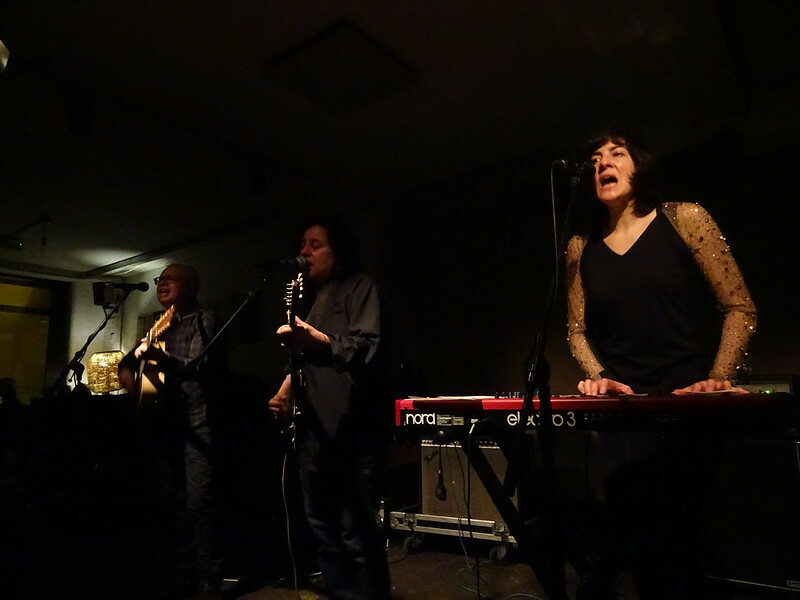 This time the show was without Thalia Zedek as her and Damon & Naomi had gone their separate ways for a while (getting together again in Paris a few days later). Support came from dbh who played intricate and gentle acoustic guitar quite beautifully. Damon & Naomi seemed to appreciate the venue and the relaxed atmosphere, everything seemed so good-humoured and with that came a fun and funny and thoroughly enjoyable show, very different from the more tense and edgy London show. They again finished with Translucent Carriages and the more relaxed atmosphere in Manchester gave the song a differnet energy that suited the room.